The Fellowship was fortunate enough to obtain a copy of RUM ROW #1 by Andrew Maxwell. Andrew Maxwell writes, Michele Bandini draws, Derek Dow colors, and Adam O. Pruett letters. Jack is a New York cop during Prohibition, but things are a little different in Jack’s New York. Here the speakeasies haven’t gone underground, they’ve gone the other way – into the skies in dirigibles. In this issue Jack and his team are going after one of the most notorious of the lot – the Duchess. But things and people are not always as they seem. This story has an interesting alternate history twist, but the core of the story is the characters. Jack is an honest cop, just trying to do the right thing. Anne is a cool character too (but no spoilers here). And it’s all brought together with very nice art, which gives us some wonderfully detailed sky-scapes and also some great facial expressions. I’ve read issue 1 for this review, but issue 2 has just opened up on Kickstarter (including a reprint of #1 on some tiers). This is a cool twist on Prohibition, so go take a look and back this project. 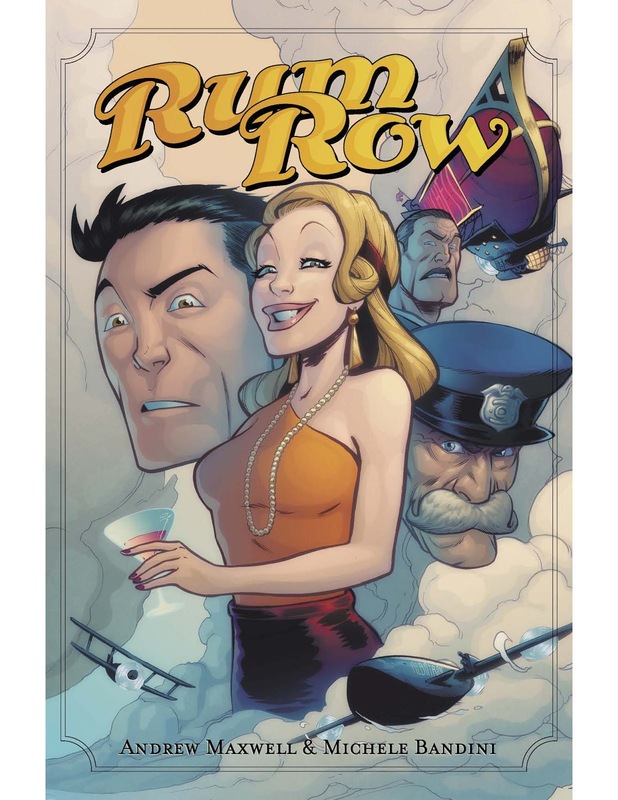 RUM ROW #1 & #2 are available now on Kickstarter.